Gilbane understands the impact the life cycle of a building has on the environment and we are committed to incorporating sustainable strategies such as Collaborative for High Performance School (CHPS). 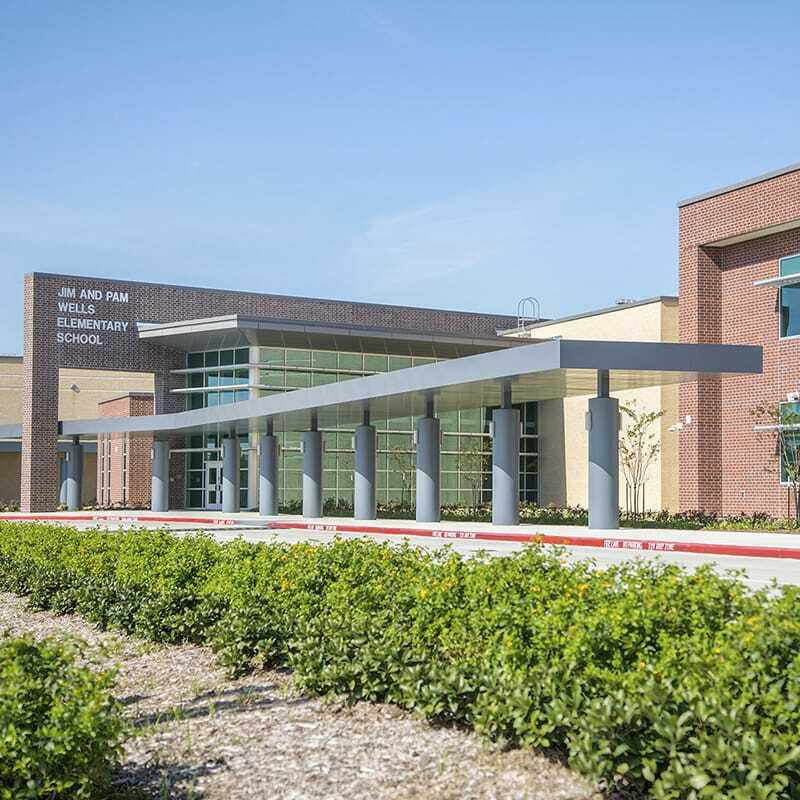 Gilbane served as general contractor for Cy-Fair Independent School District’s new High School #12 and Elementary School #55, both as part of Cy-Fair ISD’s new Education Village in Cypress, TX. The four-story high school is the tallest CFISD academic facility. The high school features a four-story academic wing, science labs, collaboration spaces, community building for fine arts and indoor athletics including a natatorium, dining facility and central utility plant building as well as competition baseball, softball, football and track facilities. 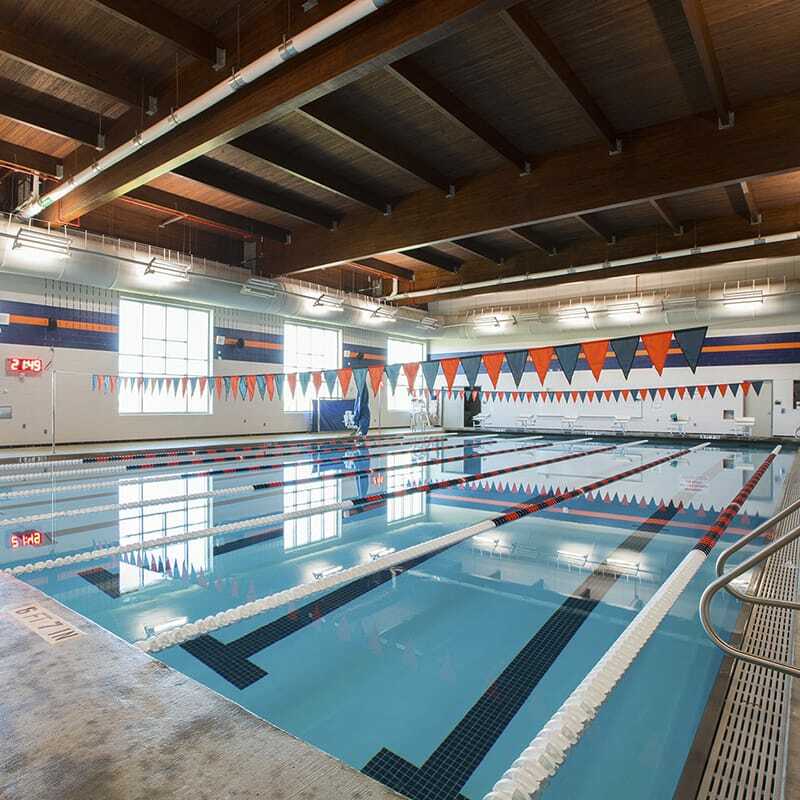 Each floor of the high school could cater to a specific grade, or floors could be geared toward certain curricula, depending on how the principal and administrative team feels they can best serve the students. 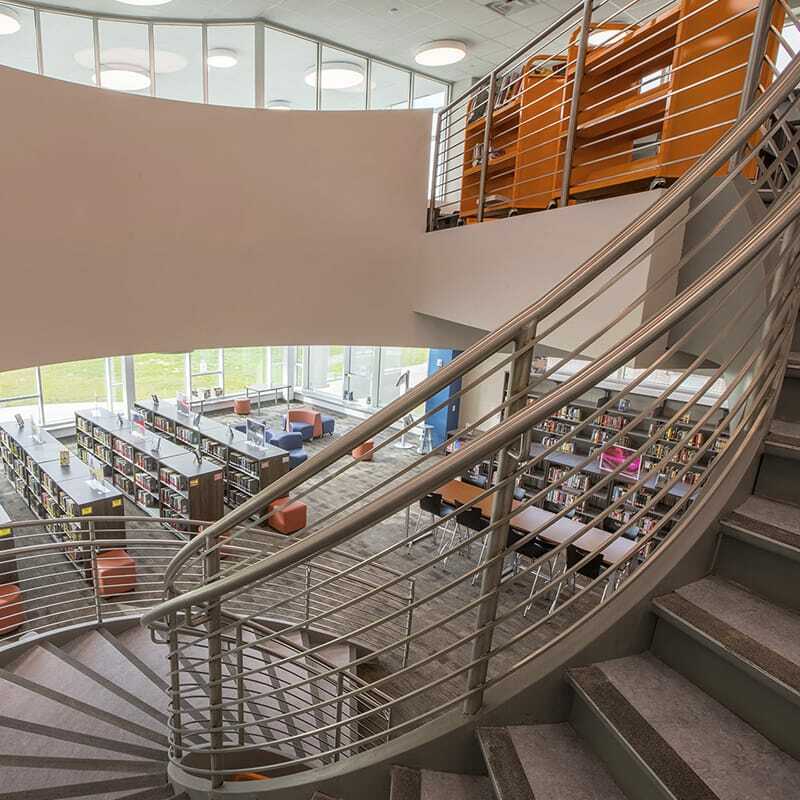 The school features multipurpose spaces, including an atrium that’s placed in the middle of the building and special seating areas along the stairwell. Keeping our children safe is a priority for school districts and something that we take very seriously at Gilbane. 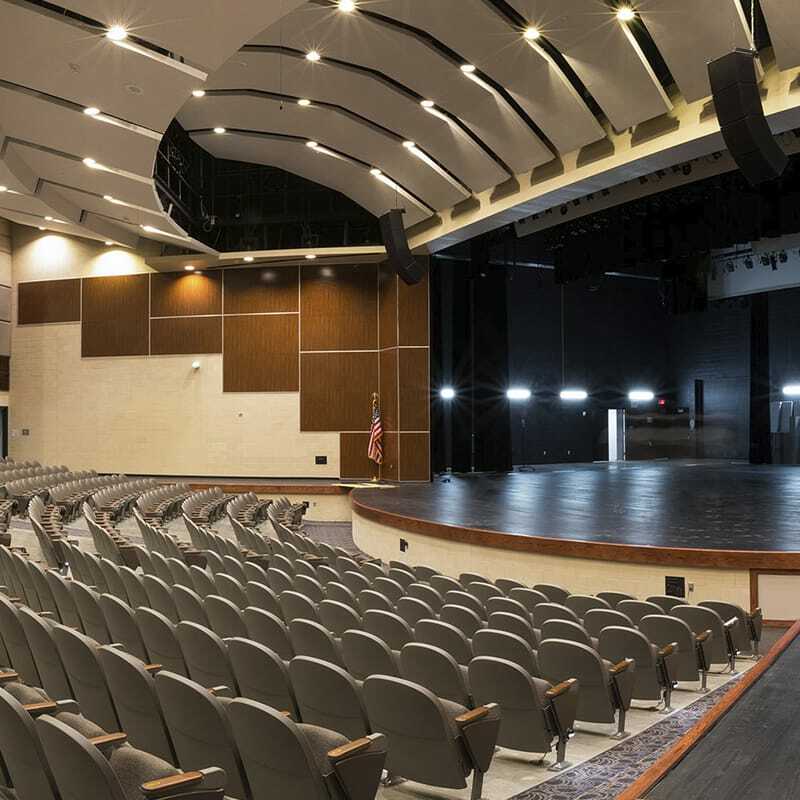 We utilize our experience from building in the public safety sector to bring ideas to our educational clients that can help ensure a safe and secure environment for students. The main entrance is clear and visible with glass that is glazed and bullet resistant, so school staff can see anyone who is approaching from hundreds of feet away. There are two sets of bullet resistant doors at the entrance with card readers at each set of doors, combined with hundreds of security cameras throughout the building and the school campus. There are also curtains on the classroom windows that allow the rooms to be locked and zero visibility into the classroom. While we never want to see these measures be necessary, we also know it is better to be prepared. In lieu of an enclosed space that’s used as a common area, the schools are linked by an outdoor learning area – a resource that’s abundant in green space. Through these closely connected campuses, CFISD’s goal is to provide mentorship and leadership opportunities for older students, while also assisting younger students with the transition from elementary to middle, and middle to high school. Additional concepts involve making use of the mechanical and electrical rooms within the high school. Instead of closing off the mechanical rooms, they will install glass walls and color-coat the piping and conduits. Science classrooms will have a section of Plexiglas into the wall to show where the piping comes in, and color-coat that to match what’s in the mechanical room to show students how electricity is delivered to the room. The schools are built to the Collaborative for High Performance School (CHPS) Texas standards. CHPS is a non-profit organization with a mission to fundamentally change the construction of schools by encouraging the conservation of energy, water and the reduction of waste, pollution and environmental degradation. The design incorporates sustainability elements, such as solar panels on top of canopies and a water cistern to collect rainwater and divert it for irrigation. As a nod to the traditional concept, kindergarten through eighth grade students will share a cafeteria. During the day, the space will be divided by a folding partition, with half of the space for K-5th graders, and the other portion for older students. After school hours, however, the movable partition can be opened, providing a large, multipurpose space. The high school has its own kitchen/cafeteria. Both the high school and the elementary school were completed and ready to open on August 28, the scheduled first day of school. Then Hurricane Harvey impacted the area. Due to the hurricane, the first day of school was pushed back two weeks. The project took on a substantial amount of damage from wind driven rain and flooding of the sports fields. We were able to make all of the necessary repairs, and had the buildings ready for the re‐scheduled first day of school, ensuring that children were able to get back to some normalcy after a very chaotic time.